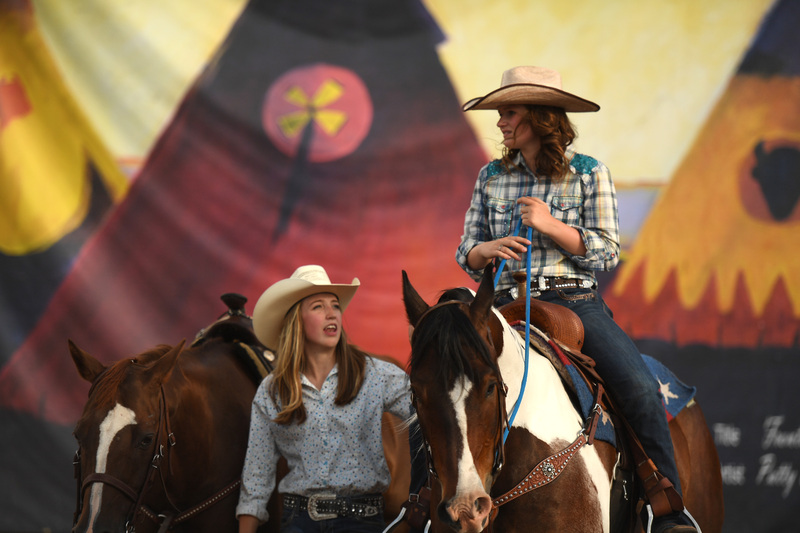 Western Art Series – Ranked #2 Must See Rodeo in the US! 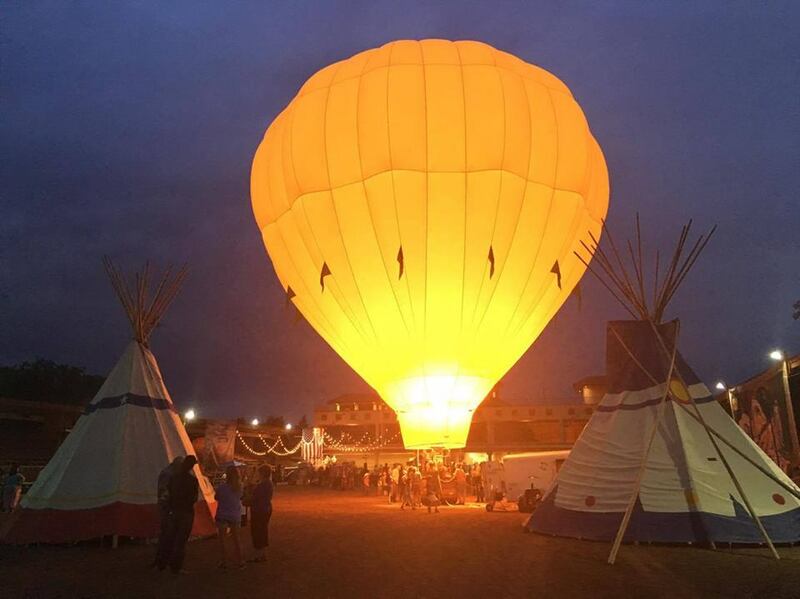 Well we didn't win but we are thankful for the recognition by the Regional Business Alliance and the Cultural Office of the Pikes Peak region. Western Art keeps heritage in your face. Our Poster series did just that while helping to highlight our Sponsors. 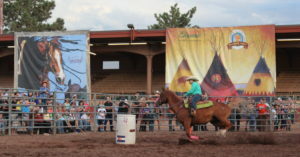 The ginormous 20' x 30' posters created in 2016 set the stage for an unforgetable evening out west. 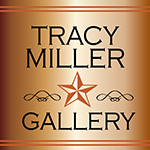 Tracey Miller Gallery is our Art Series Host and supplied all the original art from her artists. Without her support the series would not have been as successful. Please visit her gallery in Manitou Springs. The Posters will be hanging in the arena for the 2018 Summer Series and we would like to add a couple more to the mix. If you like to support the arts please consider participating in our show. 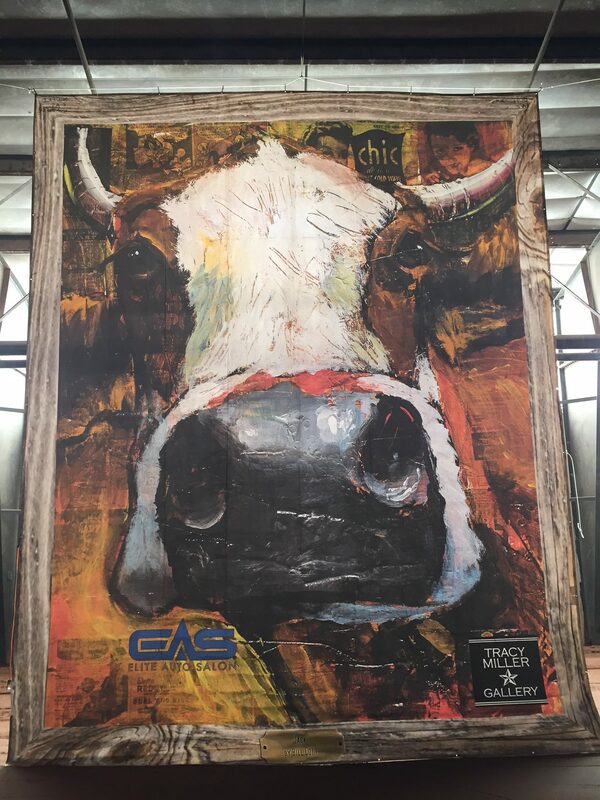 Contact the COS RODEO for information on sponsoring the Poster Series or the Balloons Out West Art Project.